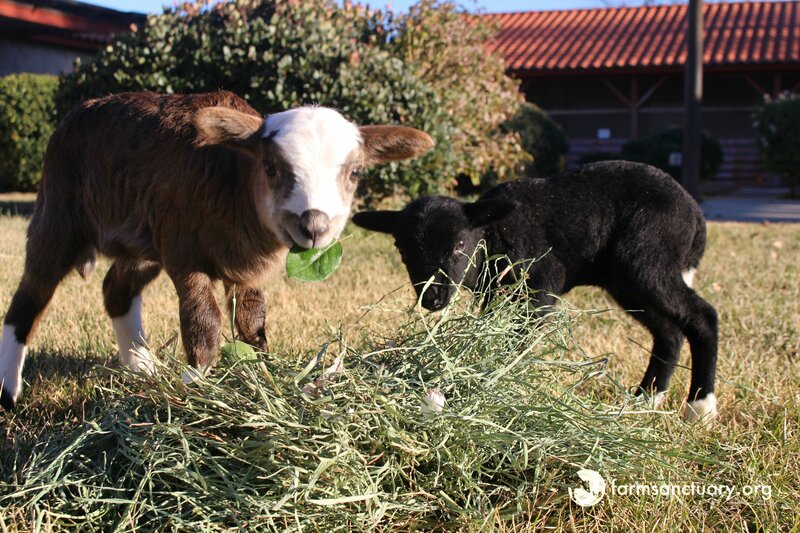 There’s no time like the present to visit Farm Sanctuary’s Acton Shelter! Located just 45 minutes north of Los Angeles, our Southern California location provides an accessible, peaceful oasis from city life. Here, we provide several opportunities for guests to interact with our rescued residents year-round. For many individuals, a visit to Farm Sanctuary is their first chance to get to know farm animals up close. 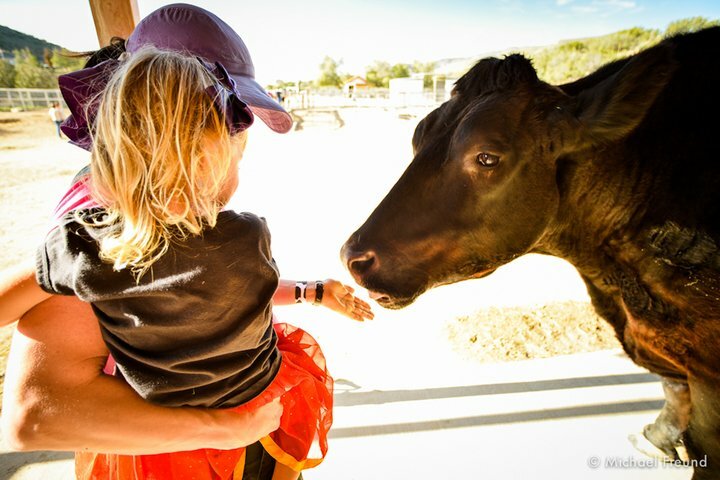 Our staff enjoys facilitating meaningful connections between people and farm animals and sharing what living the Farm Sanctuary life is all about. If you haven’t had the chance to visit our Acton location (or if it’s been awhile since your last trip), here are just four more reasons to visit Acton again soon! We are proud to unveil our new Visitor’s Center, located within our courtyard grounds. 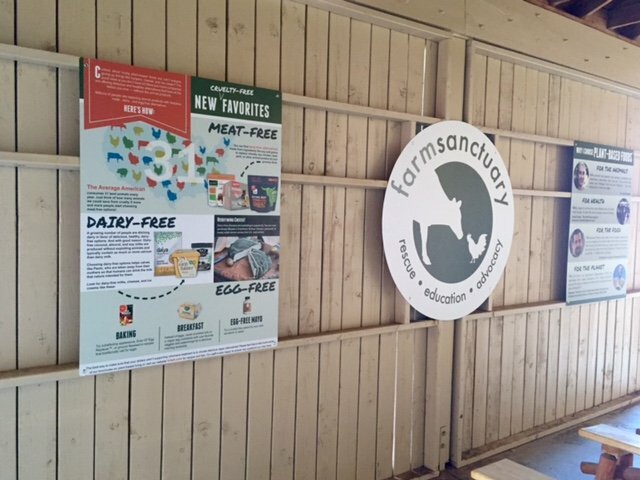 Here, you can read our educational posters at your own pace and learn more about topics including the impacts of factory farming, our animal ambassadors and the issues they represent, the myths of “humane” farming practices, and animal-free diet alternatives. This is a great way to spend some time before your tour, or to supplement your experience with further information. We also encourage you to take some of our free literature home and share your Farm Sanctuary experience with friends and family. Due to popular request, we have expanded our Visitor Program to provide tours on Saturdays in addition to our regular Sunday schedule! This is a wonderful opportunity for guests to build or strengthen relationships with our rescued residents and to learn how you can help farm animals everywhere. Tours will be conducted at 11 a.m., 1 p.m and 3 p.m. both days. Admittance fees are $10 for adults, $5 for children ages 4 through 12, and free for children 3 and under, and all funds are used to make our lifesaving work possible. Please visit http://www.farmsanctuary.org/the-sanctuaries/los-angeles-ca/tours/ for more information. Meet Kelley and Nina, our two newest residents! These girls were recently dropped off at our Northern California Shelter by an anonymous rescuer, who sought to give them the chance at life they deserved. Kelley and Nina were severely ill and in critical condition when they arrived, but are growing stronger by the day at their new home in Acton! While guests won’t be able to pet them just yet, you can watch them bond with one another from outside of their pen. Lambs just like Kelley and Nina are slaughtered for meat when they are just six months old, but at Farm Sanctuary these girls are valued as someone, not something. Visit AnimalsofFarmSanctuary.com to learn more about Kelley and Nina’s story and how you can help farm animals just like them! We are so grateful for supporters like you who continue to make our lifesaving rescue, education, and advocacy work possible. Thank you for choosing compassion and helping us make the world a better place for humans and animals alike. We look forward to seeing you at our Acton Shelter soon! This entry was posted in Uncategorized by Farm Sanctuary. Bookmark the permalink.